When you’re looking to create the next Facebook, or a site for a community to interact with, you’ll need a good platform. 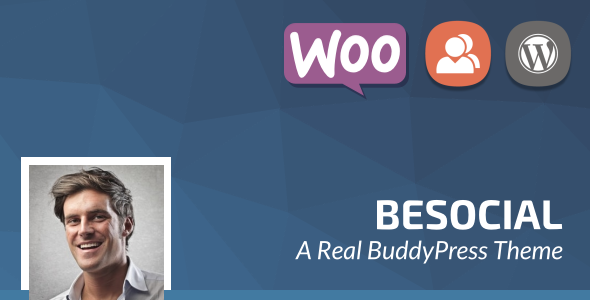 Luckily, WordPress has one of the best software packages for you to create that: BuddyPress. There are also other options, but BuddyPress is the leading software package. To go with this, you’ll need to use one of the many BuddyPress themes available. If you aren’t familiar with BuddyPress, here’s a quick introduction. BuddyPress is a free WordPress plugin that offers you a lot of social networking functionality. There are lots of features that are similar to Facebook, such as sharing content between contacts, befriending each other, users giving content likes and dislikes, groups for similar interests, user messaging and social profiles. The fact that it’s free has made it very popular, and the idea of creating a social network has also led to its popularity. But another aspect fueling its use is the popularity of social media. When there are over one billion Facebook users, and high market penetration for other social media platforms, it has become a profitable business to be in. Recent research has found that more than half of the world’s population are on at least one social media network. That’s a lot of potential customers for you. It also shows you how attractive your social network could be. There are several ways you can earn money via social media, for example, you can sell advertising from brands looking to interact with your users, sell merchandise, or offer a premium membership service. 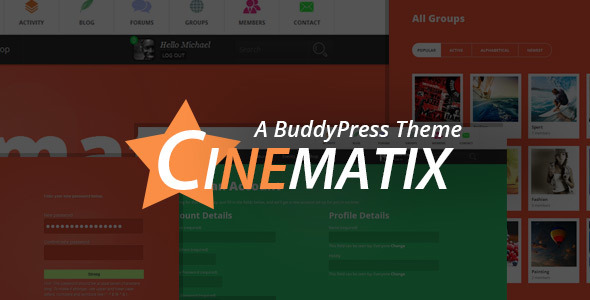 Lots of the BuddyPress themes included in this list have these compatibilities. What Kind Of Sites Could You Create With BuddyPress? There are many different sites you can create with BuddyPress. One of the most basic is a Facebook style website where you offer the same services and experience as the social media network does. This can be lucrative, but it might be hard for your website to compete with. Another option is to create a social network for a specific community, interest or invited individuals. For instance, you could create a website for family, friends or a university course. 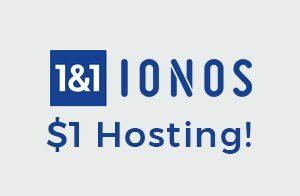 If you create one for a special interest group, like movies, pets, historical groups, you can find some great ways to monetize your site through memberships or merchandise. Finally, you can also create social groups for specific organizations like work. This can be a great way for colleagues to keep in contact with each other if they aren’t based in the same location. It might also be a great way to collaborate on projects. Why Do I Need To Consider Specific BuddyPress Themes And WordPress Social Network Themes? BuddyPress offers specific functionality to your website for you to create a social media channel. The best social networking sites have similar features and styles that you can identify in the appearance of the website. They are all quick to load, look simple, are responsive, and have a strong brand presence. Not all themes can match these requirements. In fact, there are only a few specific BuddyPress themes and WordPress social network themes that can match these requirements. That’s why you need to look at these in particular before you start choosing your next project’s specific theme. 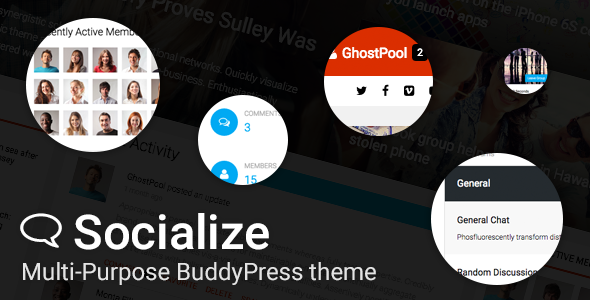 In the list below we have chosen some of the best themes for your new BuddyPress project. A couple of these are free, but most are premium. It’s important to note that because there are very specific requirements for social network sites, the themes designed for them are often more expensive than other themes. So consider this when starting your project. 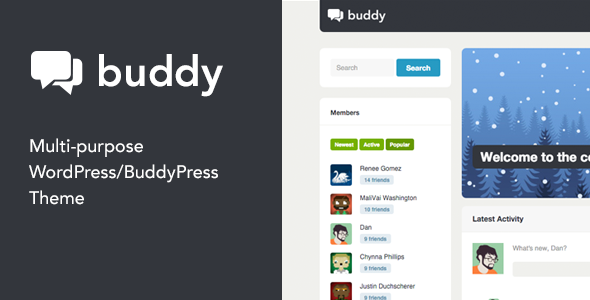 So, what are the best BuddyPress themes and WordPress Social Network themes we recommend? We start our list off with one of the free BuddyPress themes available from WordPress.org. Although this is a free theme, it doesn’t mean that it doesn’t come with a host of features for you to use. There are lots of features to give you an engaging website, including social sharing functionality which can be really great for attracting new users to your project. You can also use a header video for engaging content. Video is one of the most consumed types of content on the internet with over half of all content consumed being video. For monetization, there’s ad management systems. So if you want brands to promote their content on your site, you have a way to manually manage that. If you want the management of advertising done for you, the site can be integrated with Google Adsense. This theme is also compatible with WooCommerce, which allows you to sell products and services easily. You can take payments from PayPal and Stripe with WooCommerce. Customization with SocialMag isn’t a challenge. Most changes can be implemented using the Theme Customizer. There are several colors to choose from and you can implement custom panels. Lots of customization options for your next WordPress project. Can be integrated with bbPress allowing you to create excellent forums for user interactions and message boards. A free theme so you can keep costs low. Plenty of monetization options to ensure you have an excellent way to earn a living. 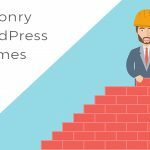 Another free WordPress.org BuddyPress theme, this is one that wants to place news content at the heart of their business. The Columnist looks like a magazine and was designed specifically for this purpose. 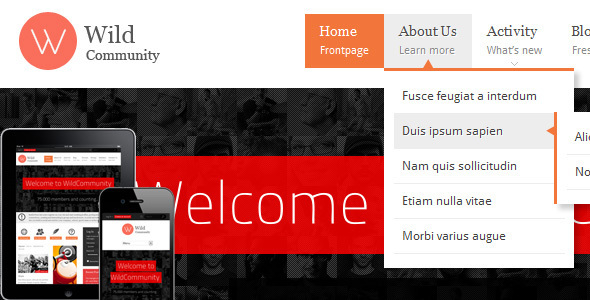 There are four color themes, a responsive customizable slider and content can be displayed in up-to four columns. There are specific styles for BuddyPress and bbPress. For those looking for a site that can be found via search engines, then you’ll find the code for this is really good. It isn’t too complicated, or bloated by unnecessary code. Instead it’s fairly clean and therefore will perform well on most search engines, as long as you have the rest of your SEO campaign optimized. Integration with bbPress and other themes available. 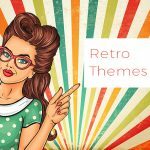 This theme has a slightly retro feel, but that doesn’t take away from the effectiveness of this theme. In fact, compared to some of the more fancy and overblown designs available on the market, this is brilliant. A retro design doesn’t mean you’ll be limited on features either. It’s completely responsive, so no matter what device your visitors are using, your website will look awesome. New visitors will be amazed by the design, and this will help improve the number of registrations you get on your social site. Customization is easy and there are lots of features available to you to help with designing your website. For instance, you can customize layouts, create pages with the help of short codes, and there’s a skin manager to help you develop the look you really want. Those wanting to have some conversations with users through user forums can install the bbPress plugin to facilitate that. Those looking to ensure their website is found, you’ll find that Buddy has all the tools you need. The code is brilliantly written with the best HTML5 and CSS3. The coding is so great it will help speed up your site and give users a great experience that will keep them coming back. The theme also makes best use of header tags and schematics for better search rank. Translation ready, so you can take your WordPress social site to the masses around the world. Child theme included so you can make code changes that will not be overwritten when the theme is updated. You can create unlimited sidebars that can be placed on individual pages. Great customer support for when you need it the most. This is a business focused BuddyPress theme. With it you can create an excellent community portal for your business, organization, or special interest group. While it’s relatively new compared to other themes on the list, that doesn’t mean it isn’t great at offering you a fantastic solution. For starters, it has the most up-to-date design trends integrated into the look of the theme. These latest trends are inserted into each of the eight homepage demos available to your site. These demos are all professional looking, making them perfect for any business, corporation or organization. All demos are quick and easy for starting your social networking project. Customization of them is also easy. No coding knowledge is necessary, as the highly popular Visual Composer is included with your purchase. One of the most popular features of this BuddyPress theme is the GeoDirectory plugin that’s included. This plugin allows you to add a business directory to your website. This can be locally focused, but it can also cover all countries around the world. To help with user experiences, those looking to register can use their existing Facebook and Google accounts. They can also use these to login on subsequent visits to your website. Monetization isn’t a challenge either with Flock, it’s compatible with WooCommerce so you can sell products and services directly on your website. Payments can be accepted via PayPal or Stripe. 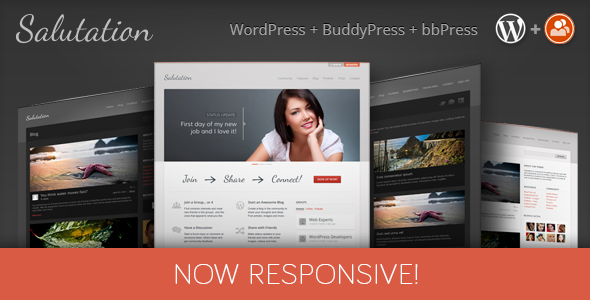 Highly responsive BuddyPress theme so your network will look great on any device or resolution. You can customize your registration, login and lots of other pages. Can integrate it with bbPress so community forums can be created with ease. Highly professional looking community portal for any business or project. 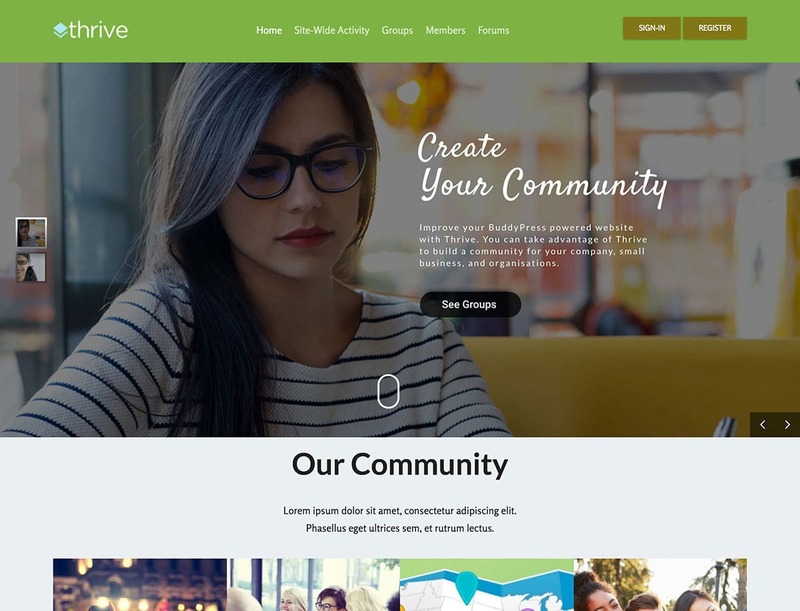 Thrive is one of the few BuddyPress themes and WordPress networking themes that isn’t specifically designed for a large social networking site. Instead, there’s a considerable amount of work put into creating a site for smaller communities. BuddyPress is the core of this theme and after installation you only need to activate this and the right plugins to have the potential to create a thriving social network. To help you get started there are three demos to inspire you and get you off to a good start. As with all social networking sites, users will be able to build profiles and communicate with each other. The pages where these actions are taken, and more, look great. But if you want to customize them, the Visual Composer plugin, which is included, will allow you to customize the look. Slider Revolution is also included with this theme. There are many ways you can monetize your website with this plugin. This includes using WooCommerce to sell products or services, and you can deliver online courses. These extra features also help to build a community and for people to share what they’ve been doing on your site. Create a searchable employee directory with staff positions with the BuddyPress Members and BP Members Roles extensions. Social activity feeds available through the BuddyPress activity stream system. Integrate polls into your social networking site to discover what your users really think. Knowledge bases can be utilized, as can document sharing. Great for those looking to create a business community portal where the organization has many different locations or employees work remotely. BeSocial has been developed with the BuddyPress plugin in mind. There’s everything you might need to build a community with this plugin, and therefore, it should definitely make your shortlist. 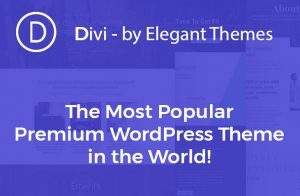 Despite its specialism, there are many other features and benefits of this theme that make it a great choice for your project. For instance, it has full support for bbPress. Therefore, you can create discussion pages to share knowledge and opinions on your favorite topics. 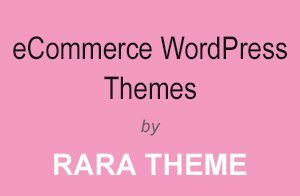 This theme can also support WooCommerce. Therefore you can sell products, services or experiences and take payments directly on your website. Interaction between content and your users is easy. There’s a Facebook comments feature your users can easily use to comment on posts. They can also connect with each other in just a few clicks. Users can also share content on your network. This includes photos. There are great features that you would normally see on a social networking site, including a like/dislike system, private messaging, activity streams, notifications and user groups. This can really help you build mini-communities on your network. Getting started with BeSocial is easy. Most sites can be up and running within a few clicks after installation of the theme and plugin. The look can be customized with the simple SiteOrigin Page Builder Plugin that’s included. This plugin includes 20 custom widgets to add many different functions and features to your networking site. You can also use the WordPress Customiser interface to make small changes and see what they would look like on the live preview. Integration with MailChimp so you can keep in contact with subscribers to help sell membership to your site, products, services and to gain awareness of brand news. Lots of social media sharing options to help your content reach more people across the world and bring them to your networking site. 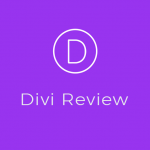 A featured members system that allows you to highlight top users to your site: reward those that help you grow awareness of your social networking site. Fully responsive and great SEO potential. Your site can be found on search engines and will look great on any device. 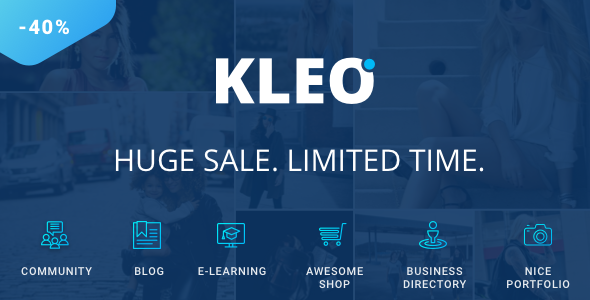 KLEO is one of those WordPress themes that can be used for numerous types of projects. However, it does brilliantly as a social networking site powered by BuddyPress. In 2016, it was one of the most popular templates for BuddyPress websites and a best seller on ThemeForest. 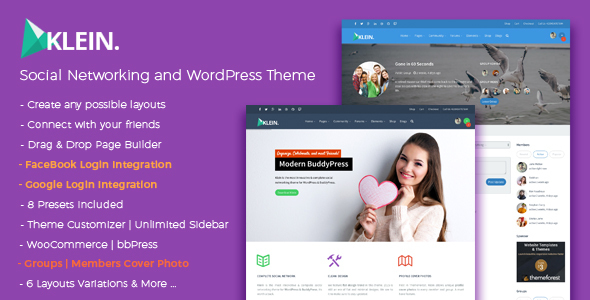 Those looking for BuddyPress Themes and WordPress social network themes, should be pleased with the variety of features available. First, there are many page templates for the different pages required for your social networking site. A great little feature included is the profile search tool. This will help users connect and find each other. Second, there’s great support available with KLEO for some of the most popular geo-directory plugins. For some social networking sites, this might be very important. Also, for monetization there are many options. You can add a shop by integrating your site with WooCommerce. Payments can be easily accepted via PayPal and Stripe where you can get a free account and only pay when you sell a product or service. Alternatively, you can sell e-learning courses or business directory listings. There are demo versions for each of these options. Demos can be installed with just a few clicks of a button. These can then be customized with the premium Visual Composer plugin included with this package. All you need to do is drag and drop the elements you want, in the place on the screen where you want them. 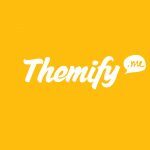 Lots of premium plugins included with this theme to help you create a feature rich environment for your social network. Slider Revolution included so you can create some of the best webpages with image rich content. Translation ready, make your social network a global sensation. This is one of the most flexible themes available that has been built around two of the best social plugins: BuddyPress and bbPress. Therefore, no matter what your interest, or end goal, this certainly could be the best theme for your needs. To attract users to your site, there’s a great range of animations available. This can make a website highly attractive and engaging. When you start building your website, there are four great homepage layouts to choose from. So you have lots of inspiration on how to introduce visitors to your website. As with any website, your blogging section might be an important area. Not only does it help build links to your site, but it can also be a great tool for search engine optimization and build engagement with audiences. Some themes will sideline this area, but not Socialize. There are six layouts to choose from. If you don’t like any of these layouts, that isn’t an issue. You can use the premium Visual Composer plugin to make changes. This drag-and-drop page builder is included with the theme. There are many ways you can add features and functionality to your website. The theme is fully compatible with event calendars, WooCommerce, and WPMU (which allows you to translate your site into many different languages). One of the best features of this theme though has to be on the front-end. Many internet users get annoyed with having to create endless profiles and log-ins. There just isn’t enough time to remember all those log in details. That’s why Socialize allows your users to use their existing Facebook and Twitter profiles to sign up and login. A great time saver for your users and a way to increase your sign up rate. Notification counter so users can see new messages received for quick access to relevant content. Multiple areas for advertisements so you can easily monetize your social network with brand advertisements. Sticky Sidebars are available thanks to the included Theia Sticky Sidebar plugin. Your sites sidebar will therefore remain visible all the time. Built with SEO in mind. Your site won’t disappear on Google. Klein was built with BuddyPress and other similar plugins in mind. It can support numerous plugins to help you create a great interactive and lucrative website. You can create a forum area with support for bbPress and the theme is compatible with WooCommerce so you can sell products and services. With BuddyPress and this theme, your users can create free profiles, connect and then share private messages to each other. They can also share important events and interact on forums. This theme contains a lot of extra bonuses to help you create a good looking site. The first premium feature is the slider: Slider Revolution. When you start designing your social networking site you can use one of the nine pre-made templates for you. These are fully compatible so you can be sure the end result will be unique. Customization is achieved with the easy-to-use drag and drop builder. One of the best elements of this theme are the custom backgrounds. You can also change the CSS code with the Custom CSS area. If you’re looking to keep certain content from non-users, or to create a premium members area, then this theme should be considered for its compatibility with Paid Memberships Pro plugin. Fully responsive WordPress plugin that will look great on any device or any resolution. Translation ready so your networking site can be taken globally. Smart Notifications to keep your audience updated on new content relevant to their membership. As you can guess, Sweet Date wasn’t exactly created with social media sites in mind. Instead it was designed for dating sites, which are also very lucrative. However, what is a dating site other than a specific social networking site? Users create profiles and share messages. Therefore, Sweet Date can be a great option for your social networking project. One of the reasons why this has made it onto the list, is that it contains a prominent content slider. On your homepage, this could be an attractive way to entice your audience to stay around for longer. However, if you would prefer, you can use one static image. One aspect you might expect from a dating theme is a paid membership option. That’s definitely the case here. 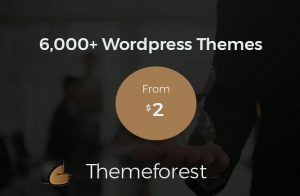 You can integrate your site and this theme with Paid Membership Pro, which is included, to hide content to anyone who doesn’t pay for membership. This can be a great way to monetize your website. You don’t even need to limit your content to one specific level. You can create a tiered system to add monetization options for your project. Free trials can also be activated on your social network. Fully responsive, so your social networking site will look great on any device. Retina-ready design so your website will look awesome. SEO ready, your site won’t be lost on Google. 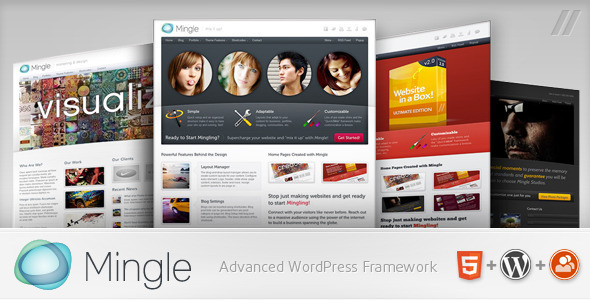 Mingle is one the best selling themes for BuddyPress. As a result, the developers have been constantly looking for ways they can improve on the initial release. This has yielded lots of cool features that will help you develop a great social networking site. 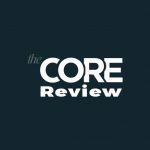 The core features are all there: account development, messaging, groups and content sharing. There are also some great features like status updates and support for forums. Additional features include portfolios, galleries and regular blog posts. 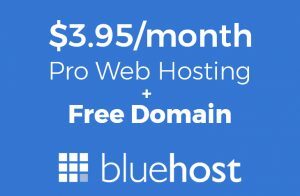 So you can create a website with a lot of potential without the need for an extensive library of plugins installed on your site. Building your social network isn’t a challenge with the drag-and-drop layout manager. This function extends to your headers and footers, so every aspect of your website can be customized to your own tastes and your brand’s personality. A sidebar generator that allows you to create and add them to custom layouts. Sidebars can be inserted directly into a content area via the special short codes. The latest technology and the best coding helps this theme make your website fast: great for SEO and user experience. Trustworthy theme as it has been tested by thousands of other website owners. Build a community where users can create profiles, share messages about interests, and connect with new people with the help of OneCommunity. 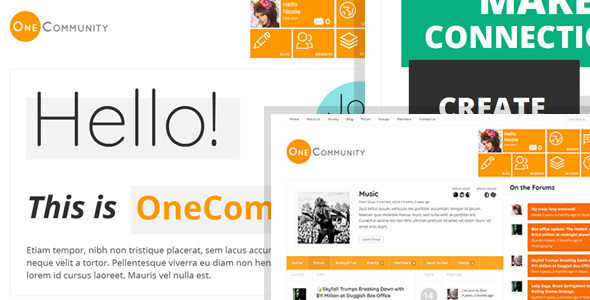 The very visually appealing looks of OneCommunity makes it one of the best options for your project. This BuddyPress theme includes an impressive nine color schemes. It only takes a few clicks to apply any of them. Further customization of the look of your website can be achieved with the help of the drag-and-drop page builder Visual Composer which is included with the theme. If you want to include a forum on your website for a more open discussion, then this theme is the perfect solution. It fully supports bbPress as well as hundreds of extensions for BuddyPress. Therefore, you can add so many features, that your users will be amazed with your site. A great feature of this theme is that it allows for pop-up notifications about relevant content so your users can stay up-to-date with conversations that are important to them. A full package that integrates nicely with bbPress and BuddyPress. Members and guests can see different content. Quick and easy demo content you can install and then customize. 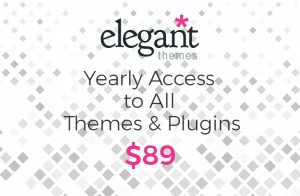 Lots of premium plugins included with this theme to add excellent functionality and a great user experience. With its bold visual design, this is one of the best community themes based on BuddyPress and bbPress. 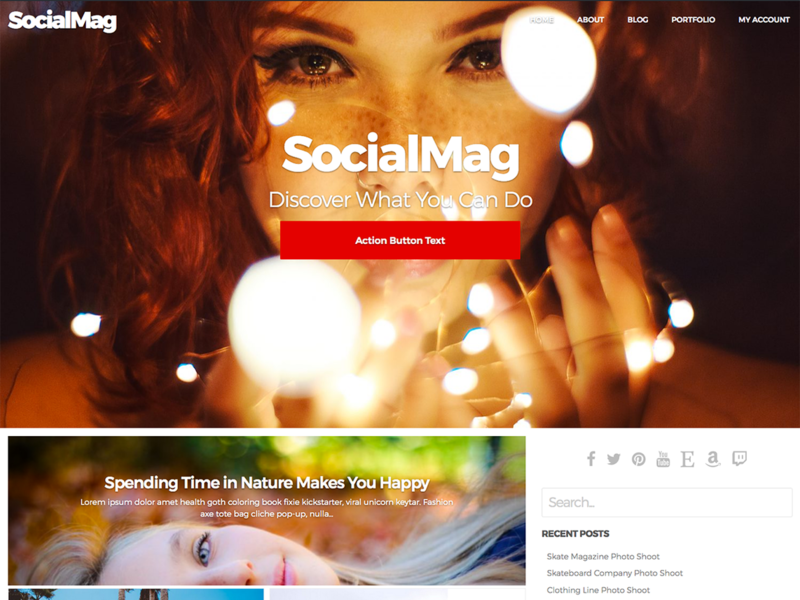 The beauty of this theme will help you create a social networking site that will attract visitors to become members. However, looks alone won’t keep users coming back to your website; you need to have a lot of features to offer, and again Cinematix is one theme that doesn’t disappoint. Customization is so easy. It starts with the ease of choosing between 10 different color schemes. There are also two different front page layouts you can use. Other pages also have their own unique templates you can use for the best user experiences. You can see the potential of your site very quickly. There are demo sites you can install with just a few clicks and then customize them with the premium drop-and-drag page builder Visual Composer. If you’re looking to sell products, services and experiences on your social networking site, then this theme could be great for you. 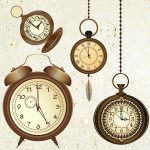 It can integrate seamlessly with WooCommerce giving you the option to display products with their own unique pages and accept payments with ease. In addition, you can integrate with the Events Manager plugin to help inform members of upcoming virtual and real-world events coming soon. You can also use this theme in a WordPress Multisite network. 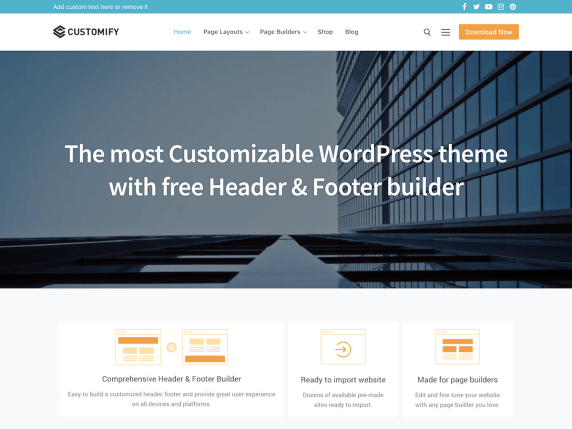 If you’re looking to extend the functionality of your BuddyPress powered WordPress website, then this theme can support 100s of the extensions. This includes chats, music managers, galleries and social articles. Therefore, you can create a feature-rich and engaging social network site. 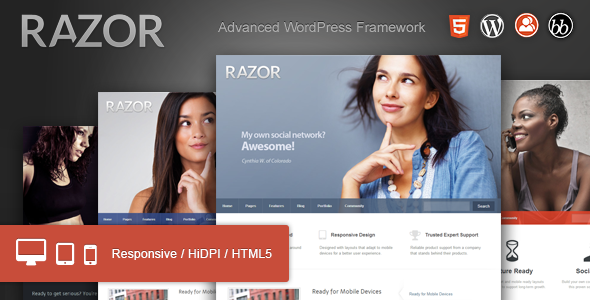 Fully responsive WordPress theme that will look great on any device or resolution. Limit access to content to those who have registered on your social network. Translation ready so you can take your social project worldwide. Bold and engaging design to impress first time visitors to your site. If you’re looking to create a community portal for a professional business or organization, then Razor’s uncompromising design might be a great choice. It’s clean and uncluttered so the content you need to convey is easy to see and there are few distractions for visitors. In fact, the modern and understated appearance is in contrast to other themes mentioned on this list. When you start building your BuddyPress powered website with this theme you’ll have several skins you can use. This gives you a basic outline for the look of your website, but there are customization options allowing you to design a unique website with ease. Customization is achieved with the inbuilt drag and drop builder. You can also brand the administration area of your website thanks to the White Label Admin functionality. If you want to add your own brand colors, this isn’t a problem. You have unlimited color options plus custom headers and footers. The responsiveness of the website means that whatever device your visitors are on, the site will look as good as you would expect. An impressive look on all devices will help with registration and engagement with users whether they are in the office, at home or on the move. Sidebar generator to help you create information at the side of your website that will guide visitors and members to your best content. Unlimited control of the look of your home page. Make the page exactly as you want it. Pop-up login forms that will look amazing on your website. A contact form builder so you can collect the information you really need. We’ve covered one of the latest themes developed for BuddyPress, now we’re looking at one of the oldest themes available for the social networking plugin. Because of the length of time this has been available on the market, the developers have been able to refine their initial design. The result has been a highly effective solution for someone looking to create one of the best BuddyPress powered WordPress websites. In addition to BuddyPress, Salutation has been created with bbPress in mind. Therefore, not only can you have your users create accounts and communicate privately between each other, they can communicate in big open discussions on forums. With the length of time this theme has been on the market, the developers have had lots of time to add in cool configuration possibilities to the theme. This might sound intimidating, but the developers have created lots of video tutorials to help newbies, or those stuck on certain issues, to build their social networking site. There are also text and image based guides for those who prefer to learn through this type of content. Customization of the look of your website couldn’t be better with this theme. There’s an easy to use drag-and-drop Layout Manager. Custom looks can be created for every page and post, giving you a site of varied content that will keep your audience engaged and entertained. Contact forms can also be customized so you can collect only the information you need. Included in your options are ways to validate that those using the form are human. This can help reduce spam sent to your admin team, which can save you endless hours of deleting bot messages. One of the oldest themes that has been improved upon, based on user feedback. Lots of features to create a user-friendly website. User experience is great with the coding being written with the best coding practices available. 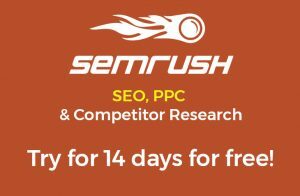 Fast theme that will help you rank highly on Google and other search engines. WildCommunity is the last of our BuddyPress themes, but that doesn’t mean that it’s the poorest. In fact, when you compare it to the features you need, WildCommunity ticks them all. As well as all the usual social networking features you would expect, the theme supports bbPress so forums can be used. Starting your website design is easy. There are four homepage designs to choose from. You can customize the look and function of your website with the use of the short codes included. These short codes can even be used in your forums for interesting interaction with your community. Monetization is simple with this theme. It’s fully compatible with WooCommerce, so product listings are easy. Payments can also be accepted via PayPal and Stripe. 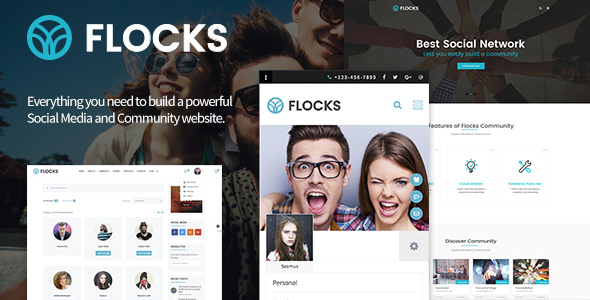 Your community can really grow with the features included in this theme. One of the best is the live chat function. Everybody loves to chat with their friends and family in real time and this theme offers them that choice. Translation ready. So you can make your website available in many different languages. Hide content from visitors who aren’t logged in or members. Pop-up window for user notifications so registered members never miss important content. SEO friendly theme so your site can be found by many users. Choosing between BuddyPress themes and WordPress social network themes can be challenging. There are so many powerful options on the market that you could be stuck. However, there are simple ways you can cut your shortlist. To help you choose between BuddyPress Themes and WordPress Social Network themes requires some careful thought, but there should be one focus: the user experience. For you to create a successful social network you need visitors to come back all the time. For this you need some very specific elements. First, you need to have a site that’s fast. The slower your site is, the more people that will abandon your website. You can loose nearly 75% of your potential audience if your site takes longer than 4 seconds to load. Second, you need to have a responsive website. Facebook and Twitter have more users on their mobile devices than they do with desktop. Therefore, you need to ensure your mobile site is just as good, if not better, than the desktop version. Finally, you need to be convenient for your users. If they can use existing social media accounts to log into your network, they are more likely to register and come back. Therefore, social login features could be vital to your success. In addition, you need to consider the content people want to consume. Video attracts users, so perhaps you need a theme that can support video as well. Your project deserves the best theme. So look carefully at the options above and choose the one that matches your requirements the most.